Fall planting has begun. After a rainy September, October is promising to be mostly dry, so watering the seedlings will loom large. So far, I’ve scattered seeds of Nigella ‘Damacena Oxford Blue’ and ‘Black Ball’ cornflower, both a few years old so we’ll see if they do anything. 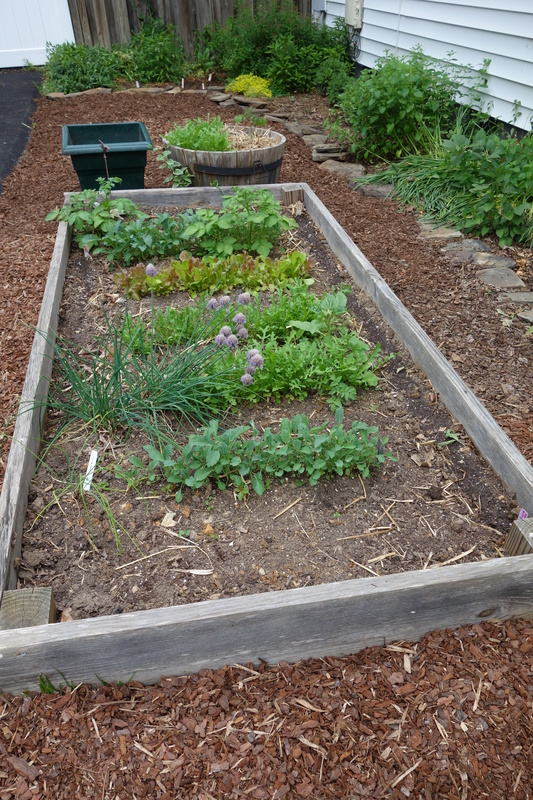 In the raised bed, some ‘Red Planet’ radishes and ‘Crispy Winter Greens’ from Renee’s Garden. The rest of the space reserved for tulips. Crownsville Nursery lured me in with a hosta sale, and I bought five. Of course, by the time they arrived I’d forgotten where I planned to put them, so I had to make it up. Three ‘Gold Standard’ went in front of the yews by the front steps. 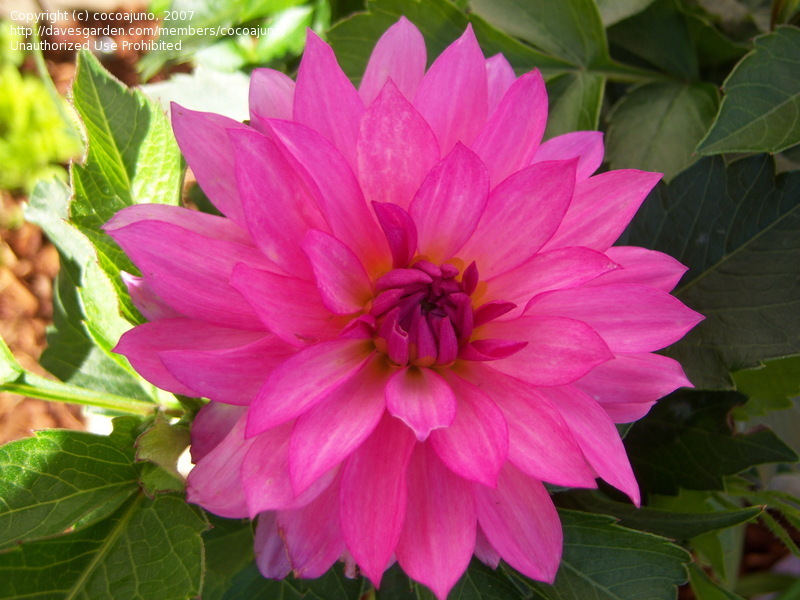 (Note that the hosta images are from the Missouri Botanical Garden, so they are realistic rather than perfect.) 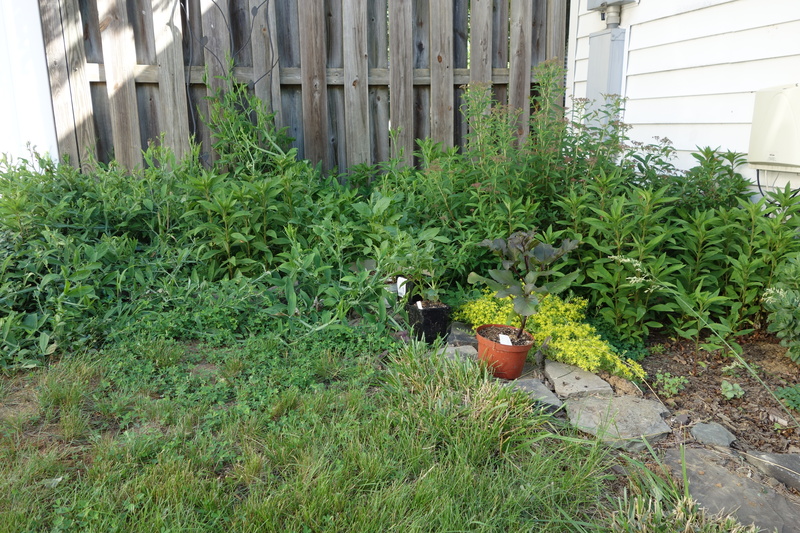 This little garden is so neglected, and it’s right up front so I need to step it up. I’m also planting some ‘tête-à-tête’ daffodils here, to continue the theme under the maple tree and in the other front garden. Then perhaps some tiarellas to have some interesting foliage. And maybe some Japanese anemones?? The ‘Big Daddy’ hosta went at the edge of the oak tree garden, where it will be visible. It’s said to get up to 71″ wide, so it should have room to stretch out. Finally, the ‘Krossa Regal,’ which has a more upright habit, replaces one of the ordinary hostas in the narrow bed in front of the shed. I have only one, so it won’t make this display, but you see how upright it is. The first bulb order arrives tomorrow, so I will be hard at work getting everything in before leaving for SPAIN. After the promising beginning in the last post, reality took over. 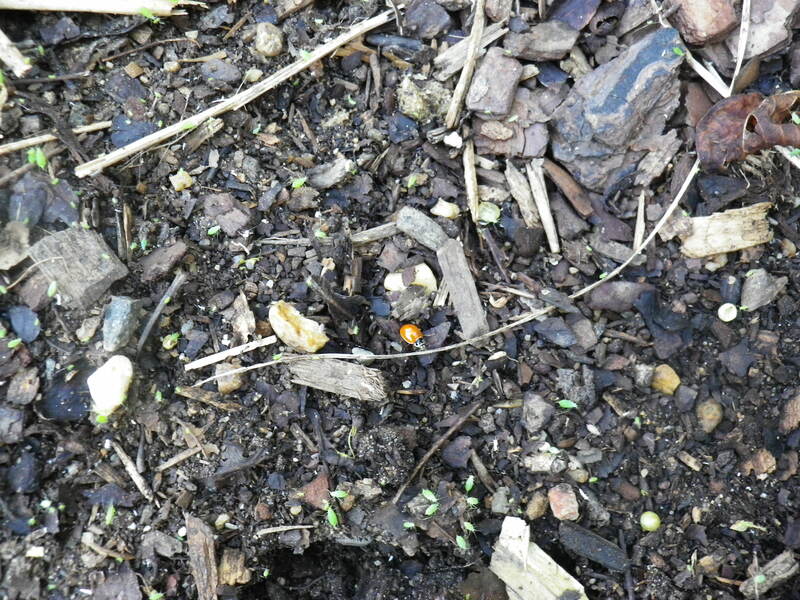 As soon as I planted some mixed lettuces and the seeds I mentioned, the rain stopped. For about six weeks we had no rain at all and in the last month we’ve had only a sprinkling. 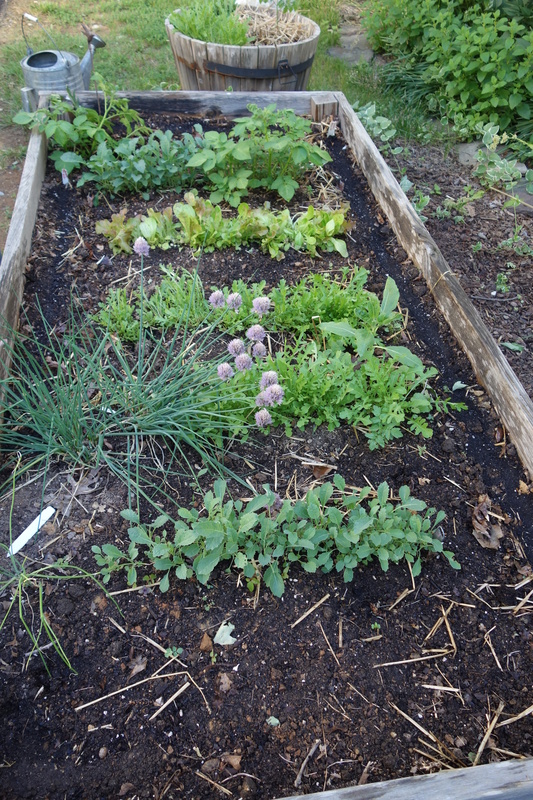 The seeds did not sprout (except for some self-sown cilantro and ONE carrot), and the mixed lettuces I planted from Roxbury immediately bolted, while the kale, as usual, was attacked by some kind of bug. The only thing that thrived was the mustard greens that you see behind the extraterrestrial lettuce. They are hot! Cooked down for a bit they are delicious and not so bity. But all in all, pretty much a failure. We are promised rain the day after tomorrow, and I live in hope. 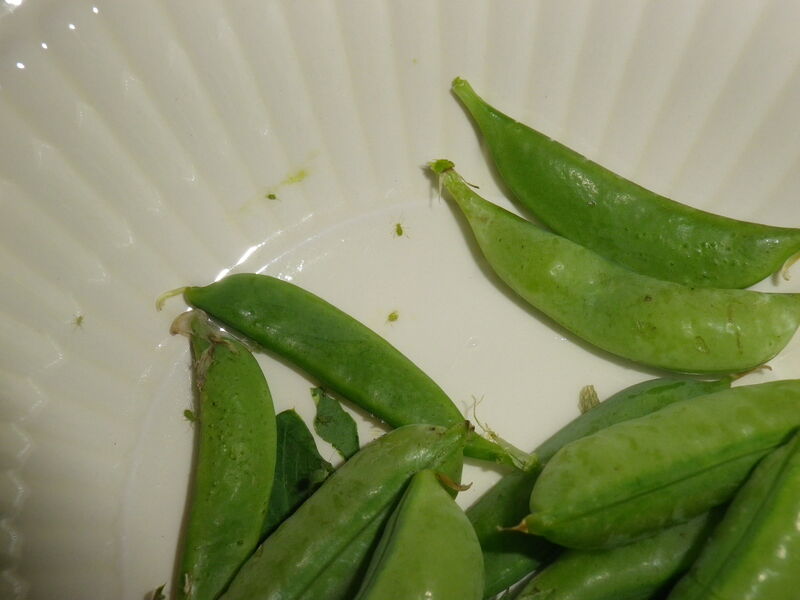 The sugar snap peas were good this year, even though for the first time I had aphids. They washed off easily and didn’t seem to affect the crop or the flavor. Aren’t they sort of amazing? 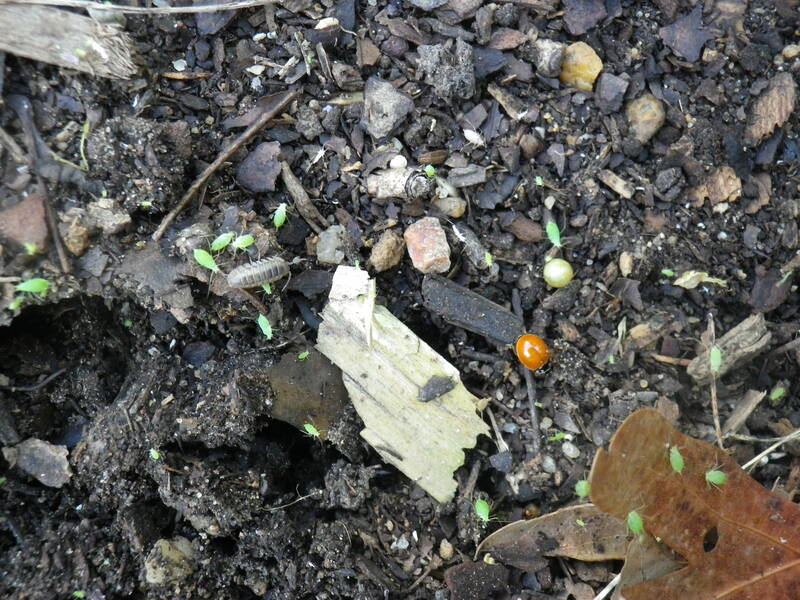 Here they are with a ladybug and something else common whose name I should know (sowbug??). You will have to click on the image to see what I’m talking about. And here they are clustered on the pea trellis after the spent peas were pulled up. Ladybugs are a natural predator of aphids, but clearly I could have used more of them. Now that you’ve seen some bugs, whet your appetite with the delicious harvest of lettuce (bug-free). 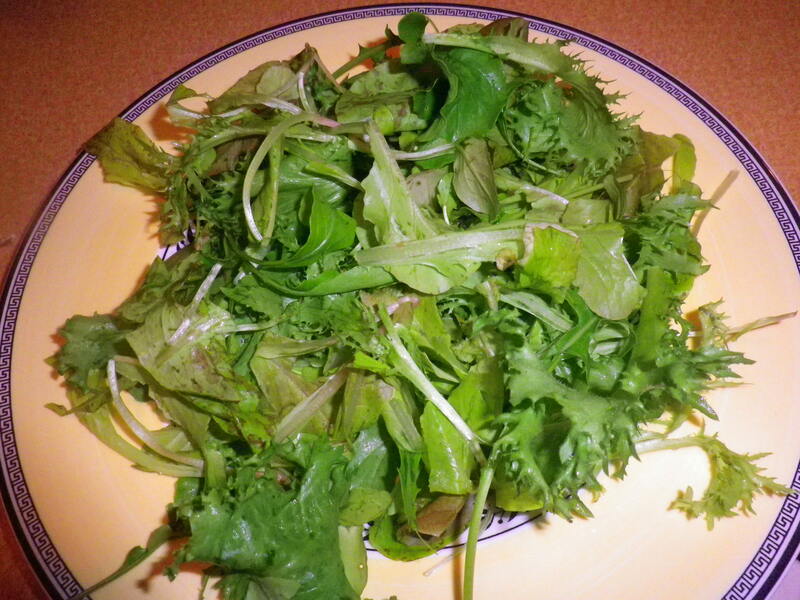 Yesterday I added some crunchy, peppery radishes to the salad. 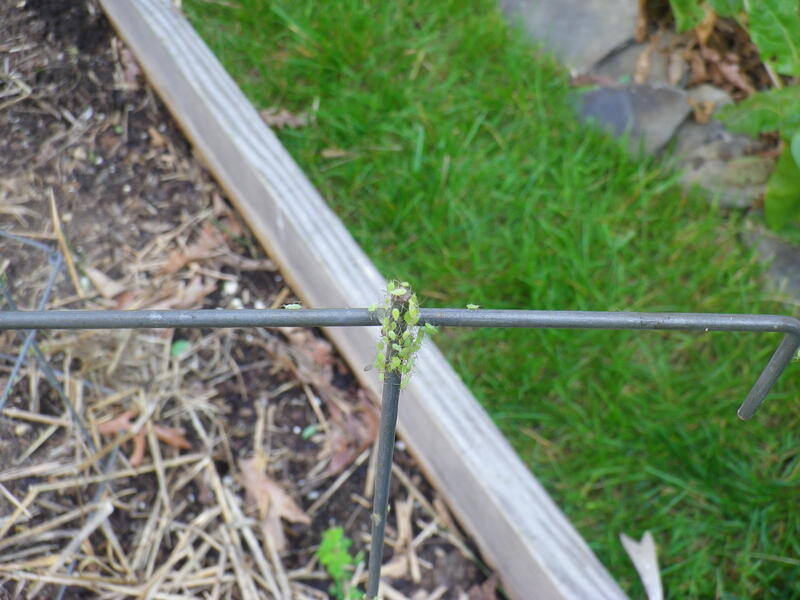 The carrots seem to be coming along fine – I’ve thinned them once and need to do it again. The potatoes in a bag, an experiment, are growing exuberantly. I didn’t hill them up as soon as I should have, so we’ll see what happens. Once they bloom, I think I can search for the harvest. My clever tip for growing spring vegetables: WATER. That, and the absence of the groundhog my neighbor relocated to the wilds of Stafford County, have made this a successful harvest season so far. But when I plant my beans later today, I’ll enclose the seedlings in netting, just in case.